Need a little motivation for The Love of Spiders shawl? Finish your shawl by November 4th and you'll be entered to win a $25.00 FingerPlay Studio gift certificate. Bring your completed shawl to our November 4th Yarning Happy Hour. 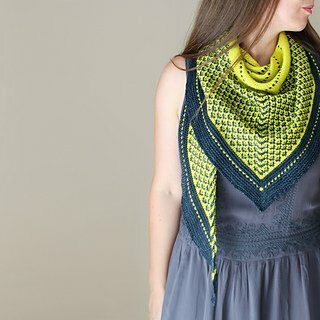 Or post a photo of your completed shawl on Instagram or Facebook and tag FingerPlay Studio. Enter anytime before midnight on Friday, November 4, 2016. Watch our Facebook and Instagram for announcement of a winner on Saturday, November 5th.